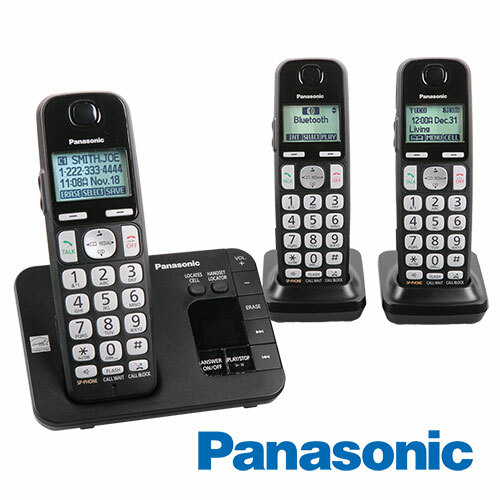 A fully-loaded Panasonic DECT 6.0 phone system with 3 large-screen big-button amplified handsets and digital answering system! Panasonic engineered this remarkable phone system to provide the ultimate in performance coupled with exceptional ease of use. 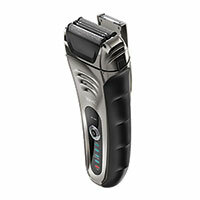 The DECT 6.0 Plus technology delivers enhanced clarity while the large 1.8" white backlit high contrast LCD screens, big buttons and amplified handsets with dedicated volume key make it easy for anyone to operate. Also features digital answering system with up to 17 minutes of record time, talking caller ID, 3-way conference calling, voice paging intercom to all handsets, call blocking of up to 250 numbers, ringer ID per handset, Intelligent Eco Mode to save energy, USB port for charging your electronics without finding a separate outlet, clock, alarm and more. Factory serviced to meet original quality standards. May have slight cosmetic blemishes.